When the Dudley Boyz returned to WWE a year ago, the surprise moment blew the roof off the Barclay’s Center in Brooklyn and gave the impression that the tag team division would be getting a big boost from one of the best WWE tag teams ever; fast forward to one year later, and the Dudleys stood in the same building on RAW and announced their retirement from WWE. 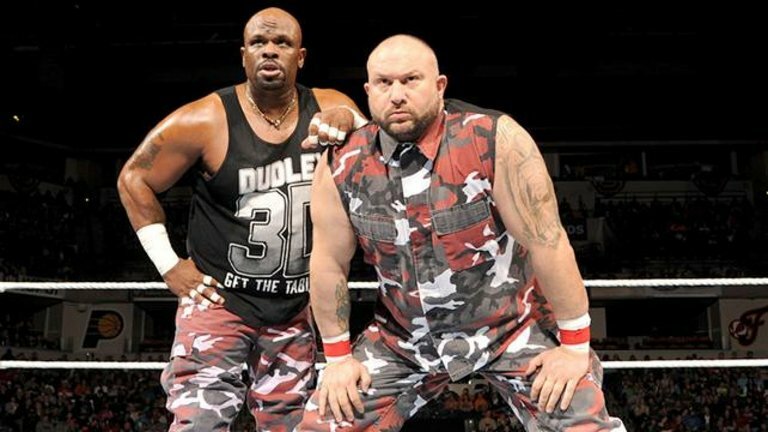 In the last few weeks it became apparent that the Dudleys were heading for a change; yes they seemed to lose almost weekly over the past year, but in the past few weeks there was a spotlight put on the fact that miscues between the Dudleys were causing these losses and 9 times out of 10 in wrestling, this means a tag team breakup was on the way. It was almost TOO obvious that the Dudleys were going to split, and many felt that Bubba Ray would be used as a singles star if he brought his “Bully Ray” character from TNA to WWE. The culmination of all of this seemed set in stone as news broke yesterday that The Dudleys would be “retiring” on RAW. 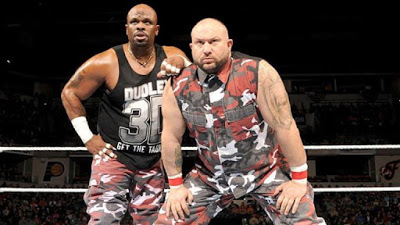 “Angle alert” may have well been broadcast because there was no way the Dudleys would just retire; word was that they even signed 1 year extensions recently that would keep them with WWE. So would Bubba turn on D-Von? Would they get more creative and maybe just announce they were only retiring the team but would continue as singles wrestlers? None of the above, as it’s now become official that the Dudleys have legitimately parted ways with WWE and are once again free agents. So what went wrong? Apparently an extension between the team and WWE was talked about but never finalized. Did the Dudleys see the writing on the wall after losing week after week to just about every team in WWE and realize they weren’t going to be used in any meaningful situations? Frankly their entire WWE run in the past year was wasted and the could have been used in a much better role – but maybe this was WWE’s way of showing them that you can’t go to TNA for 10 years then come back and be stars. So where do Bubba Ray and D-Von go from here? Apparently they are leaving WWE on good terms being they were allowed to go out for a farewell (even though they once again put over new era teams The Club and The Shining Stars) so maybe they will be back once WWE is over this “all new guys must beat all old guys” phase. Could a TNA return happen? The company is definitely in need of star power and with Billy Corgan now in charge, anything is probably possible. Of course there is always the independent scene and The Dudleys also still run a wrestling school in Florida, so it remains to be seen what the duo does next.